Here at Maver (UK) Ltd we pride ourselves on offering top quality products at sensible prices and continually strive to remain at the forefront of modern technology. An area of prime focus is the continued reliability and quality of all our Maver branded products with our main aim focused on innovation. For these reasons alone we have enlisted further key personnel to work on new products with many new and exciting products already on the drawing board. Ever since Maver was formed, the company’s goal has always remained unchanged – to produce the best fishing tackle available to both UK and European anglers alike. 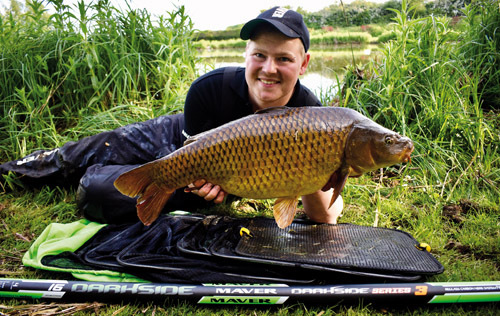 Maver is a company with a strong passion for angling that runs through the family and has done so for many years. It is this passion that inspires us to create new products to maximise the enjoyment the angler receives each time they go fishing. We are fortunate to work very closely with some of the industry’s leading manufacturers which assists us in staying at the forefront of the trade, which in turn, enables us to move forward and grow as a company. We strive to continually raise the bar in quality and performance for today’s modern angler and aspire to produce products that are second to none. Our team of dedicated and loyal staff are always on hand to help and assist whenever required. We pride ourselves on customer care and satisfaction and strive to provide a service that is, without doubt, second to none. Innovation and investment in quality is at the heart of every new product launched by Maver for the coming year. We are proud to be working with the best team of consultants from the UK and Europe, all expert anglers who consistently come up with innovative ideas and designs. It’s these people who thoroughly field test all of our products before we are 100% happy they are worthy of the Maver seal of approval. 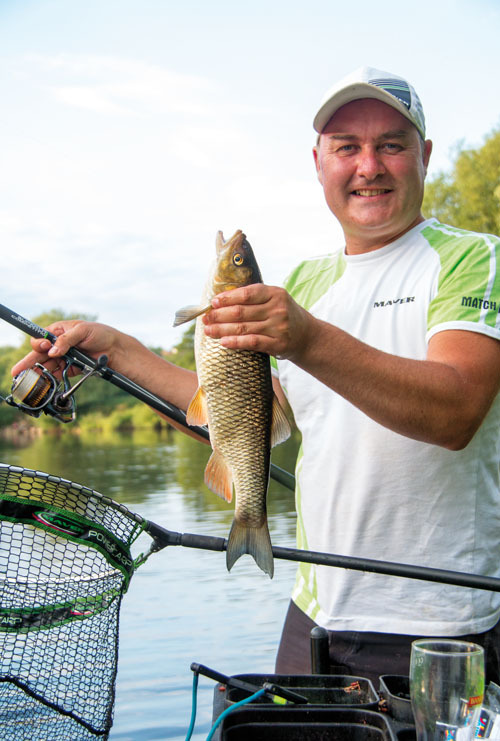 The new range of Signature and MV-R poles really are something very special, incorporating all the latest Reglass SRL technologies, extensively tested and scrutinised by our team of International anglers. The end product is nothing short of sensational! Our new commercial finesse MV-R range of products will certainly look the part on the bank and put more fish in angler’s nets. 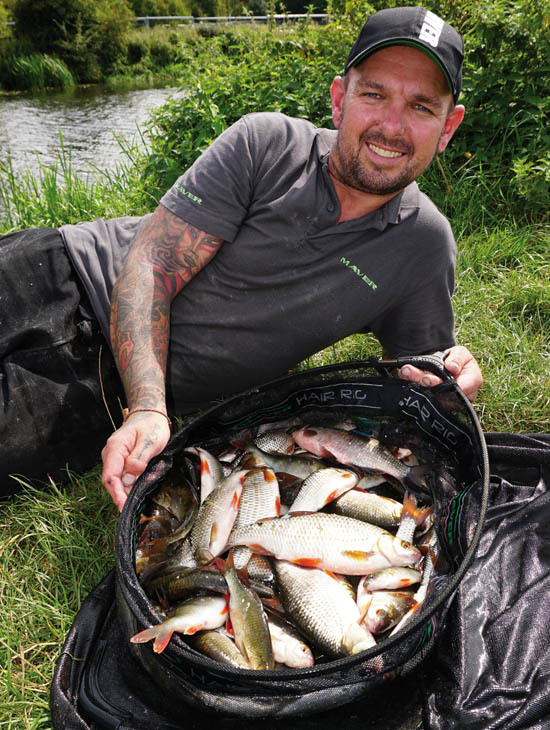 Featuring a classy luggage range, superb float and feeder rods, keepnets, clothing, monofilament, accessories and simply beautiful float ranges that are just some of the mouth watering new additions. Look out for the new modernised clothing range, which has had a complete overhaul. The MV-R 10 and MV-R 20 are by far the best waterproof suits we have ever developed, combined with a more stylish range of gilets, hoodies, polos and headwear. Not only practical and comfortable, but they also look fantastic! Finally, please keep an eye out right here on our website, which is regularly updated and will feature some very exciting mid-season introductions to the Maver product range. The introduction of new product has never been as important as it is now. You will certainly notice 2019 heralds the continuation of a new era for Maver with improvements of classic ranges, as well as numerous new and exciting additions to our comprehensive product range that embrace modern technology. Of course, we would not be able to achieve such an impressive range of innovative, high quality products without the serious input of top match anglers including Welsh International Lee Edwards, England International Matt Derry, England Ladies International Emma Pickering, Callum Dicks, Ed Warren, Andy Kinder, Eddie Bridon, Ben Sharp, Denis White and Gary Miller to name just a few. Young future talent is also recognised by Maver and includes England International Bradley Gibbons and Sarah Taylor. Andy Kinder, Andy Oldham and Glyn Reynolds are recognised for their all round expertise and contribute towards product design as well as representing us out in the field. It must be very refreshing to know that your Maver sales representative fishes and wins on a regular basis and is available for excellent advice at any time. The input of sponsored teams is also vital to us. Anglers who really do tell it like it is. If it’s not right, they make their opinions clear at our product development meetings. With such a powerful team of consultants working alongside us, you can rest assured that quality is supplied as standard with every Maver product.